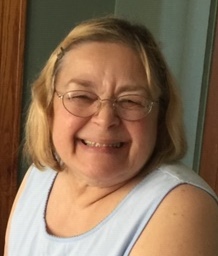 OSWEGO, NY – Donna F. Pauldine, 75, of Oswego, died Saturday March 16, 2019, in Crouse Hospital, Syracuse. She was born in Oswego, the daughter of the late John and Louise (Zollo) Pauldine. Donna liked to go Harborfesting and breakfast at Wade’s Diner. She had a great love for flowers watching them grow, and tending to them. Donna is survived by her children, Lisa (Wendy Phinney) Familo of Oswego, Scott (Susan) Familo of Oswego and Jamie (Jennifer) Familo of California; grandchildren, Jaden, Kyle, Ryan and Jamison. She is also survived by her siblings, John (Patty) Pauldine of Las Vegas, Bella Ferrazoli of Oswego, Maryanne Moxley of Oswego, and Louise Musial of Oswego; and several nieces, nephews and cousins. Funeral services will be Wednesday 6 p.m. at the Sugar & Scanlon Funeral Home. Calling hours will be Wednesday from 4 to 6 p.m. at the funeral home, 147 W. Fourth St., Oswego.